You can still get your Orijen and Acana delivered to your door! There’s been a big shakeup in the pet food business: PetSmart has purchased the online delivery company Chewey’s. As a result of this, Chewey’s is no longer able to carry Orijen and Acana. “Mass retailers operate different business models than specialty stores. They often require food makers to make significant investments in advertising and measure success through sales volumes and profits. This model is not who we are — our focus is and always will be on our foods. At Champion, we invest in ingredients and research. 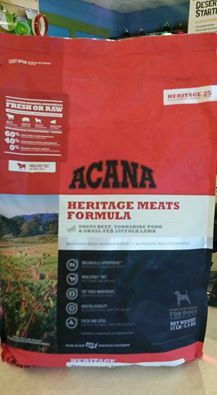 The majority of cost in making ORIJEN and ACANA comes from their ingredients, not advertising. Our commitment to our foods is critical to our vision and mission. It sets us apart from multinational and marketing brands. We’re proud and honored to be one of those independent retailers that carries both Orijen and Acana! And with our home delivery service you can still get it delivered right to your door! Just give us a call at 847-251-6750! You’ll also save more with our automatic frequent buyer program and our Customer Rewards!